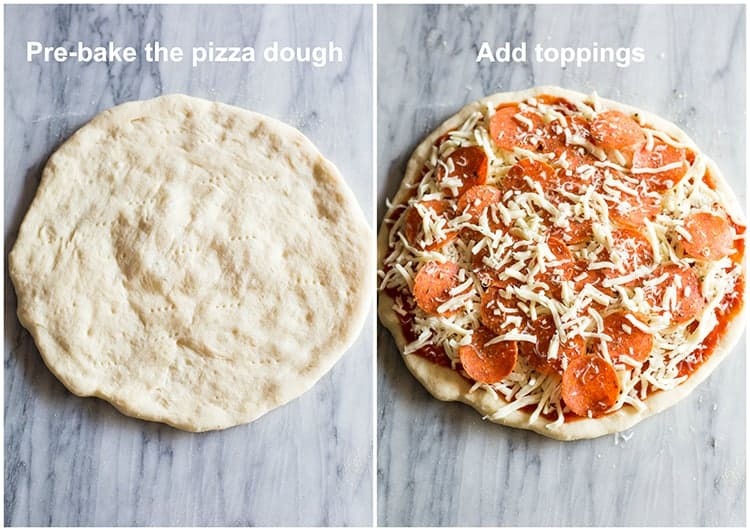 Absolutely love this pizza recipe. It’s the only one I use. I make it every Friday night, my husband and kids love it. ?‍?‍?‍? I’ve also done it for other members of the family and they can’t believe how amazing and authentic the pizzas turn out ? I’m thrilled to hear that–thanks Maria! So happy it’s gotten rave reviews from your family. 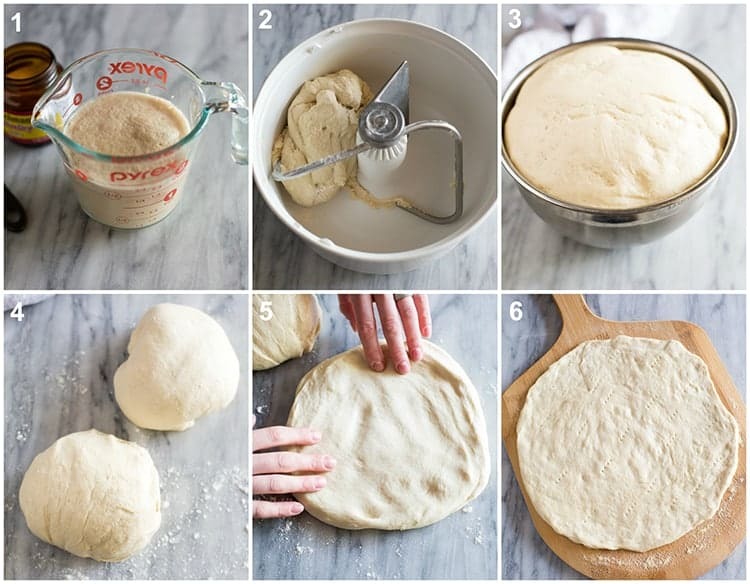 Hi would I be able to use this recipe for calzones? Made it and love it!! Thank you for saving me on a night where I needed some comfort food. 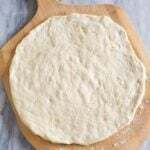 This pizza dough is fantastic! 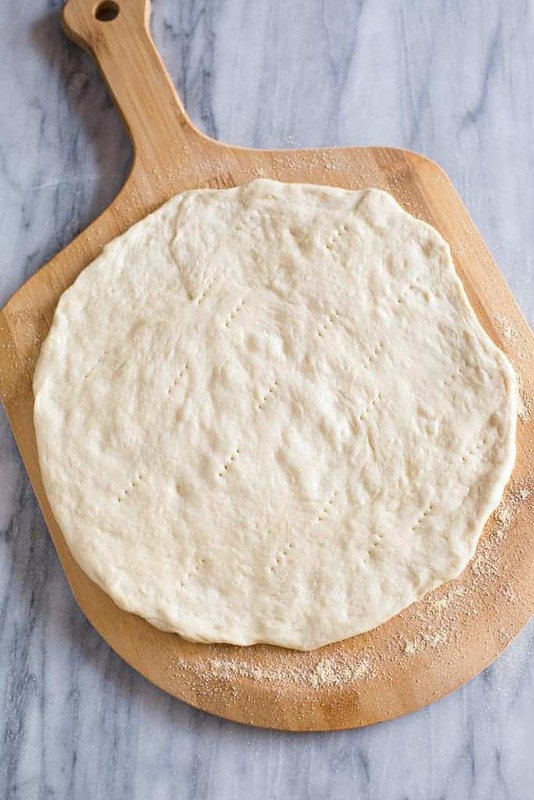 We too are avid pizza eaters, and my son will choose this dough over going out. Thank you for sharing your recipe. Your blog is outstanding! Thank you so much for sharing! I’m honored he would choose this over store-bought!! Fantastic recipe. Thanks for sharing it with us. I really like it. 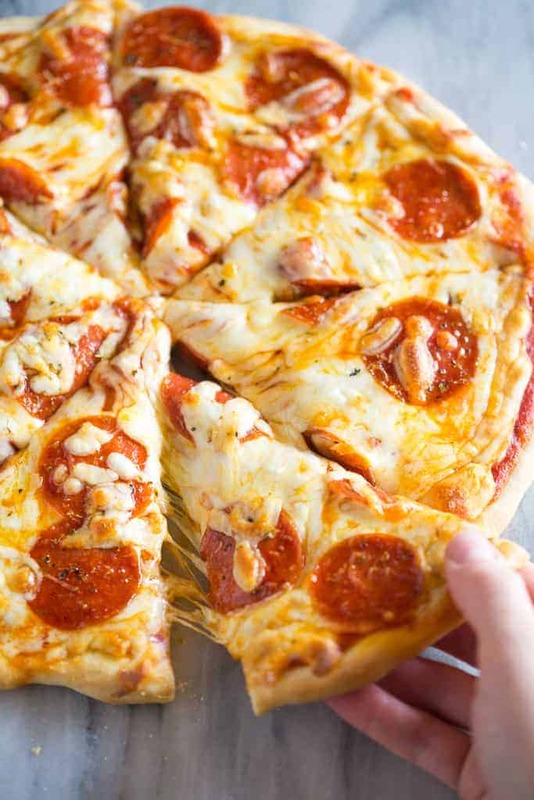 Perfect pizza crust! So thin, soft and chewy, and yet so crusty. I will definitely be using this recipe from now on. Thank you for sharing this recipe. I made this today for the first time and it came out divine. The dough is very pliable afterwards, just what I was aiming for. The crust is chewy but still holds up well to the 4+ toppings which I made my two pizzas with. Thanks a mil!!! Just wondering. Could u use this pizzicato dough recipe for cinnamon rolls? I used self raising flour instead of plain flour. Is that ok? Self rising flour has baking powder and salt. I would omit the salt in the recipe but baking powder acts like yeast so the combination may make for extra puffy dough. This s a great recipe! Thank you. I prepare them through the prebaking step then cool then on wire racks. When cool I layer them between parchment paper and into 2 gallon freezer bags. Pull out of the freezer and add your toppings while the oven is heating–no need to thaw. Faster than delivery!